If you are a fan of the Soulsborne games, you are in for a real treat once Sekiro: Shadows Die Twice arrives! Although not a new Dark Souls game, it is being published by Activision and is set for release in 2019. It is developed by FromSoftware and helmed by Hidetaka Miyazaki. 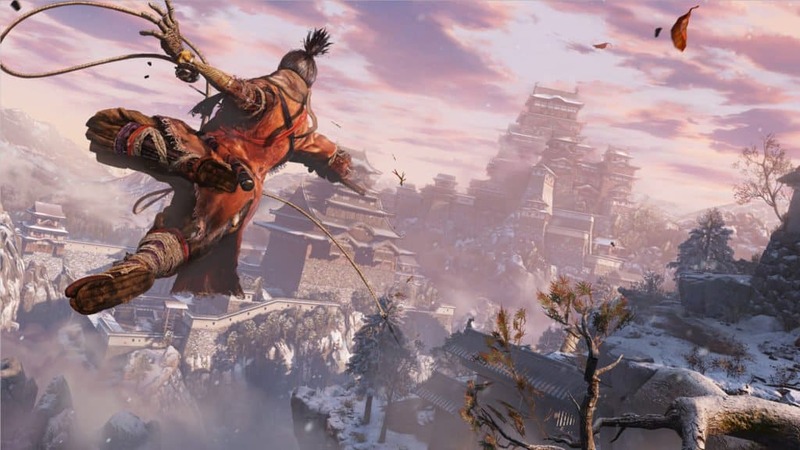 In short, Sekiro: Shadows Die Twice takes place in the Sengoku period of Japan. Players will be in control of a “hard-hearted warrior whose mission is to rescue his master and exact revenge on his arch nemesis”. 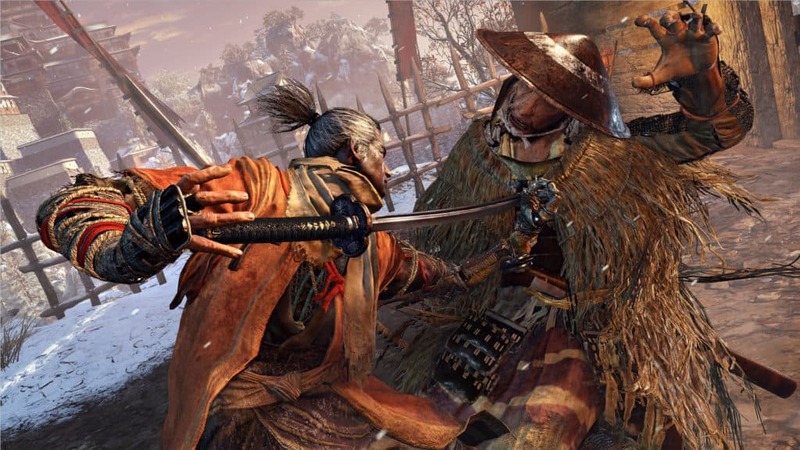 Judging by the trailer alone it is clear that many elements from FromSoftware’s previous titles have made their way into Sekiro: Shadows Die Twice. It features the same hard-hitting combat featured in Dark Souls and even looks like it has the fast-paced, transforming elements that Bloodborne has. The trailer also reveals that the protagonist’s death would “not come easily” — a nod to pretty much all of FromSoftware’s recent games. While the ‘treat’ may seem sweet on the outside, it must be noted that Miyazaki-san himself confirmed that Dark Souls III would definitely be the end of the franchise. FromSoftware has always wanted to make a host of franchises, and not get stuck in a rut. Similarly, the studio never wanted to be known as “The Dark Souls Studio”. As such, Sekiro: Shadows Die Twice is the first post-Dark Souls game that the company hopes to use to change public perspective. Hopefully, by the time it releases on all platforms in 2019, that will be the case. Since the announcement, many media outlets have had a go at the game in short behind-closed-doors sessions. It is a recurring conclusion that the game is, in fact, not like Dark Souls at all, yet still strangely familiar to anyone who has played the series. 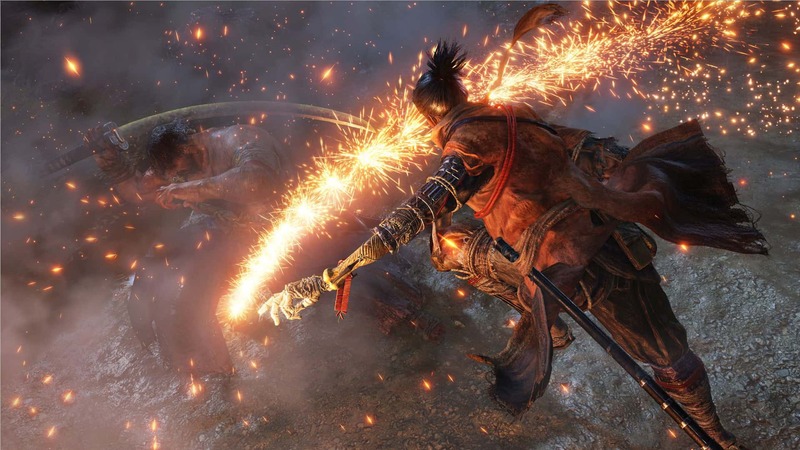 Polygon’s Dave Tach writes that Sekiro: Shadows Die Twice mostly breaks the mould found in the Soulsborne games. However, thanks to a new gadget, the protagonist’s “fishing reel-like attachment” on his weird bone arm, the game turns into something else entirely. The game is much faster, and much more open thanks to this attachment. The attachment allows the player to grapple onto ledges and enemies which increases the verticality of levels immensely, compared to that of either Dark Souls or Bloodborne. Similarly, it is said that the arm can also transform into other things, such as a huge round shield which can be glimpsed in the trailer. In essence, Sekiro: Shadows Die Twice is very much a ninja game like Tenchu. Players can grapple onto ledges and buildings, and use gadgets to best their foes. 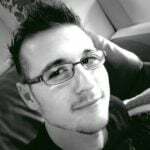 However, Tach writes, “Miyazaki’s characterisation was obvious as soon as I had the controller in my hands”. So while it is very much a FromSoftware title, it is both similar and dissimilar to Dark Souls. With that said, the totally-not-a-Dark-Souls-game will feature a very fast-paced combat system akin to Bloodborne. Using the axe prosthetic (also glimpsed in the trailer), you can break enemy poise and defence; and get hits in with your katana. All while simultaneously dodging out of the way and grappling around the place. Similarly, Shadows Die Twice also seems to feature hard-as-nails bosses that feel impossible to beat right at the onset. Tach explains that the boss at the end of the demo managed to best him, but because “shadows die twice” he was able to hit R2 and spring “back to life”. So, it is not entirely like the checkpoint bonfire or lantern systems in the Soulsborne games, yet it does give players a second chance at beating a boss. It is clear that Sekiro: Shadows Die Twice is not a Dark Souls game. That is pretty self-explanatory. However, many fans — myself included — did originally think that it would just be a much faster, much more Japanese Souls like title. It is not that at all… and also exactly that at the same time.